There are millions of denture wearers in the United States. In fact, more than half the people between the ages of fifty-five and sixty-four wear a full or partial set, according to one study. At South York Smile Care in Shrewsbury PA, we have some information they might find interesting. 1. Dentures are not the only replacement choice for missing teeth. Dental implants used alone or in combination with a partial denture is often a preferable option for patients. Whereas a removable appliance replaces only the visible parts of teeth, an implant replaces both the root and crown of a tooth. This has essential implications. Dental implants can prohibit bone recession that typically occurs following tooth extractions. Dental implants can provide patients the near-normal ability to chew food and speak. 2. There are more than one kind of denture. Most people are familiar with the removable denture that replaces a complete upper or lower arch. There are also partial dentures that are used for patients who have some original teeth. 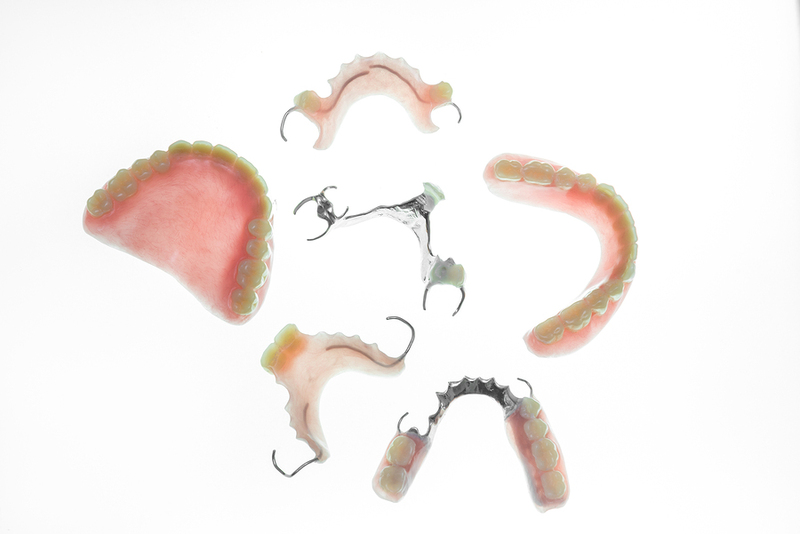 Partial dentures can be permanent in the mouth or removable. 3. Even if you have worn dentures for a while, you may be a well-suited candidate for implant-anchored dentures. The important factor is whether you have enough bone to support an implant. Bone grafting can strengthen existing bone in some cases. Schedule an appointment with Dr. Steven W. Haywood to find out if you are a suitable candidate. 5. Even if you have no natural teeth left, it’s vital that you have a biannual dental examination. Optimal oral health is a crucial component of overall physical well-being. At South York Smile Care, we’ll examine your mouth for indications of diseases like cancer, heart disease, kidney disease, and diabetes. At South York Smile Care in Shrewsbury PA we provide dentures, including implant-supported dentures. Schedule an appointment with us today.